It seems that there is never a shortage of Twitter clients for Android. So, here is another to add to the list. Tweet Lanes is still under development, but so far, it rocks. 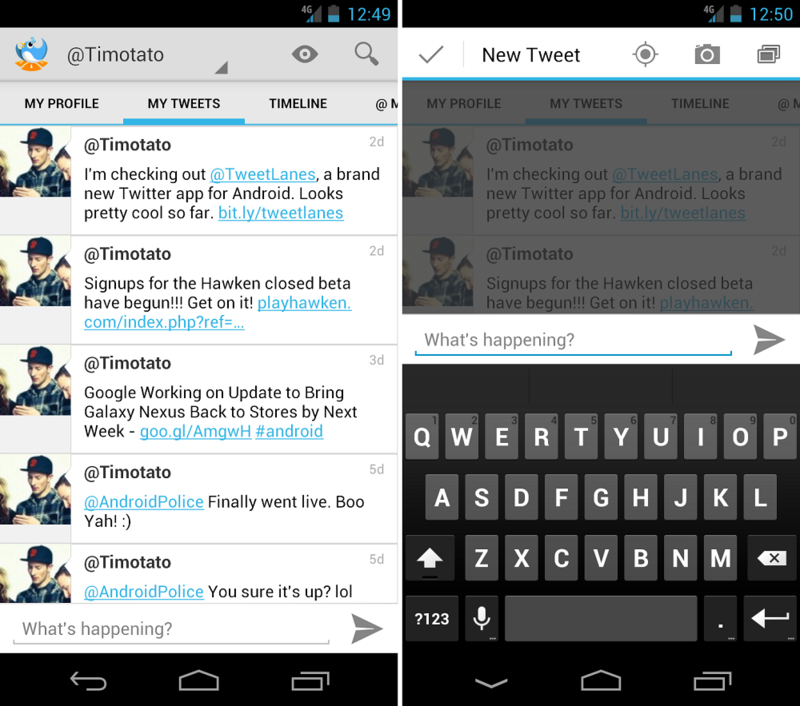 With a beautifully designed UI inspired by Ice Cream Sandwich, you swipe from left to right to see all of the tweets, mentions, and profiles. What I enjoy most is the ever-present bar on the bottom where you tweet from. Makes for very easy sharing. As a pro-tip, once you install Tweet Lanes, you can opt-in to a “Free for Life” feature. Just follow Tweet Lanes and the developer, then all future premium content will be yours for free. Not a bad deal, right? If you have another Twitter client you want us to check out, let us know in the comments down below.